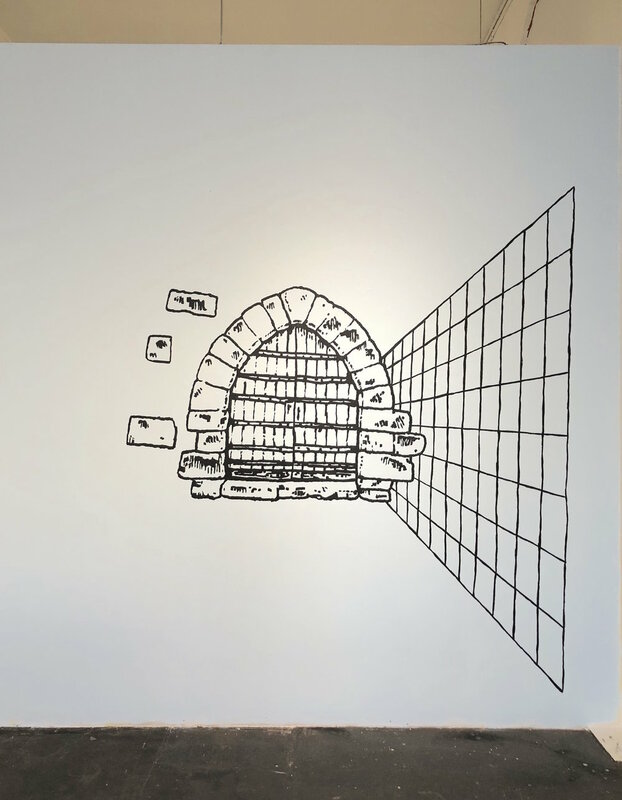 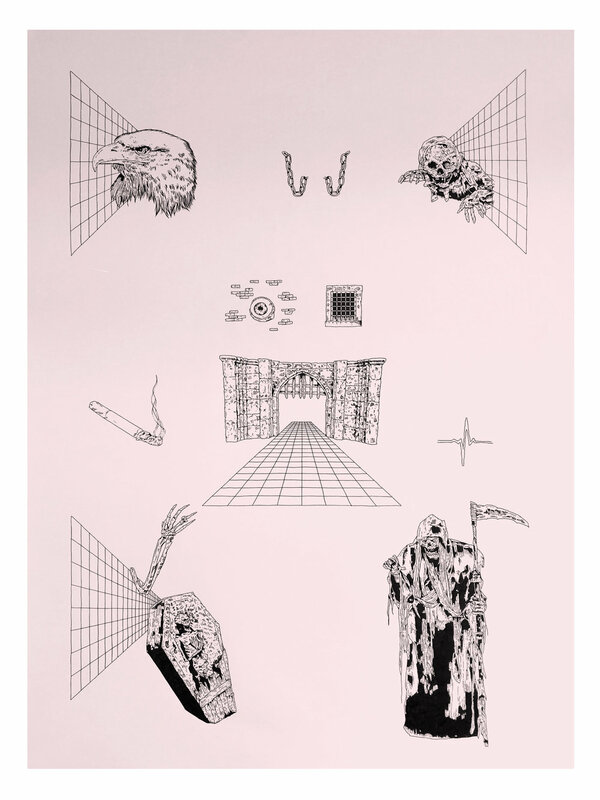 New Image Art is pleased to present OUT TÖ LUNCH, a solo exhibition with London based artist Funeral French featuring a series of new works on paper and ceramic. 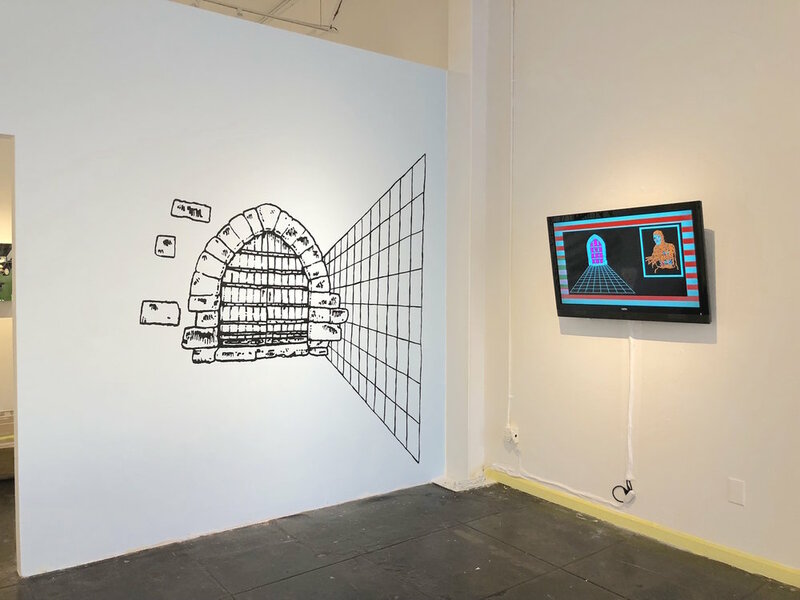 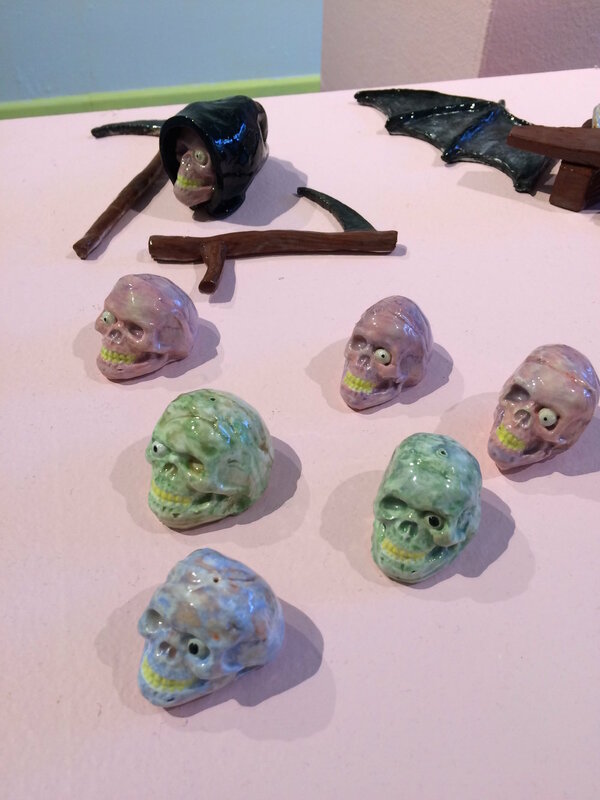 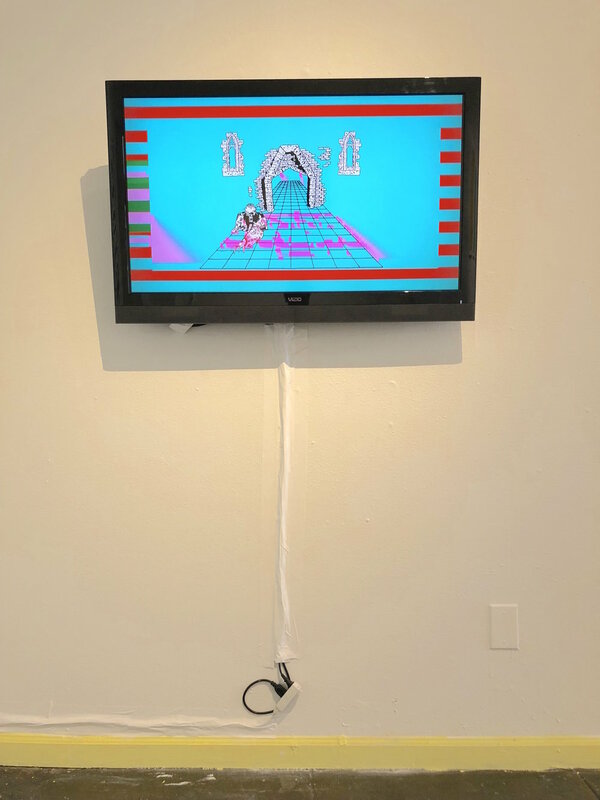 'Out Tö Lunch' conjures imagery of a ghoulish fantasy realm, not too dissimilar from a roll the dice styled board game, 'Fighting Fantasy' book or an 80's tape loaded video game. 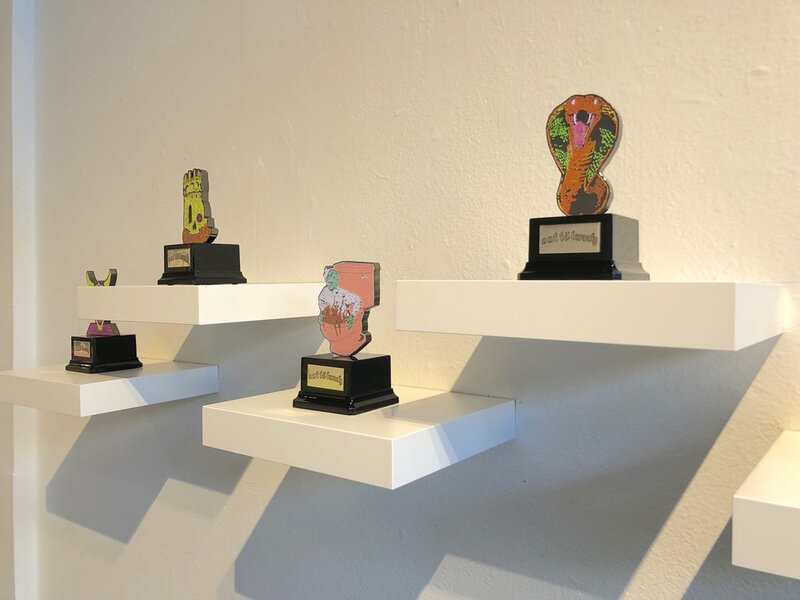 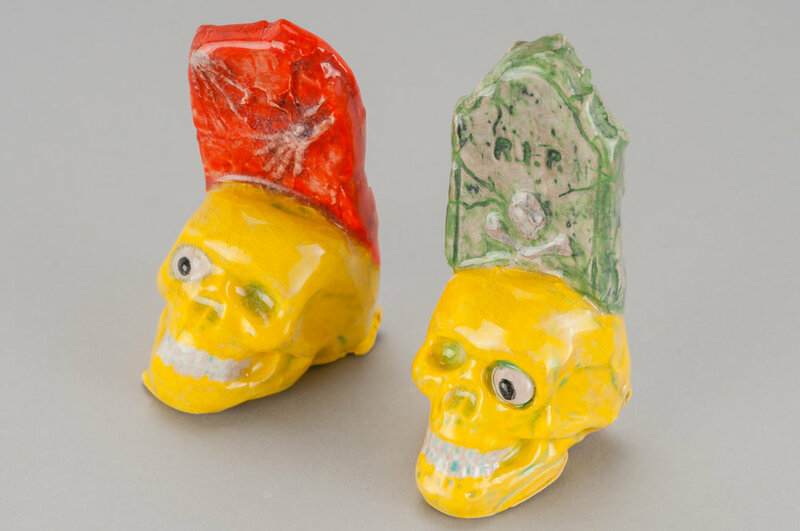 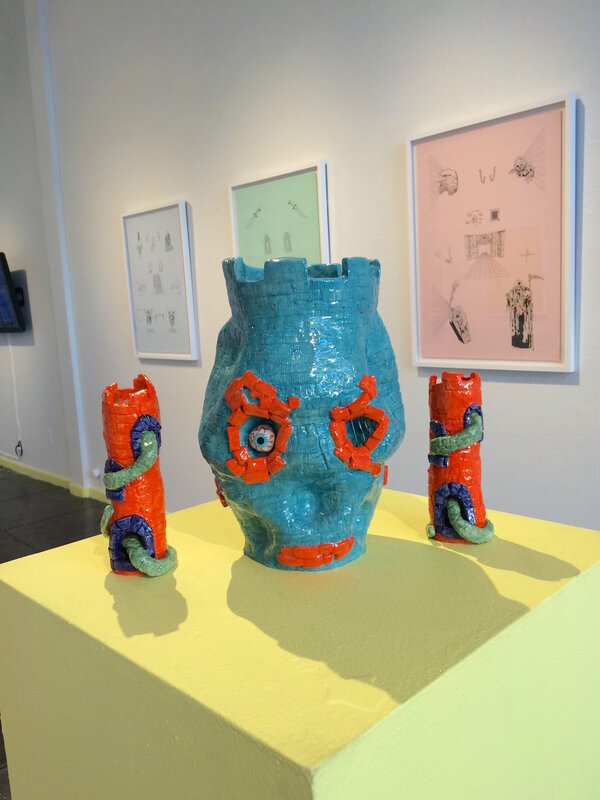 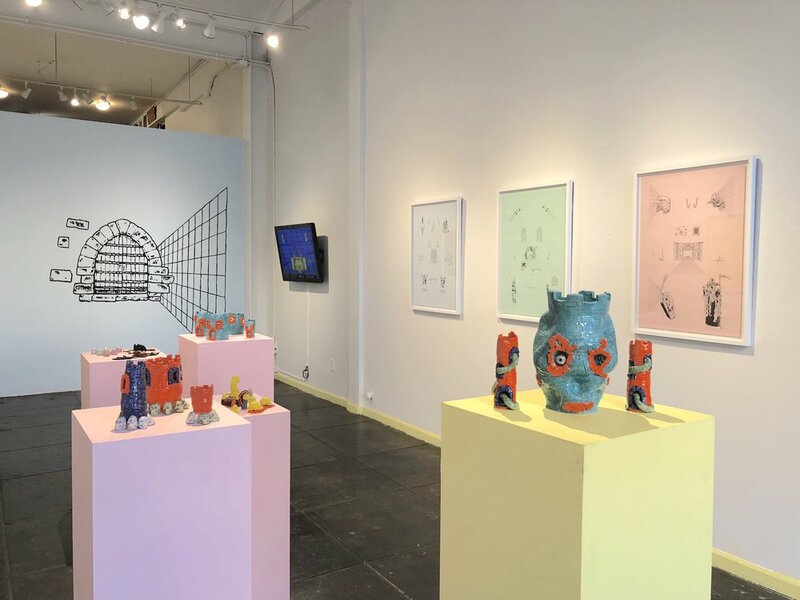 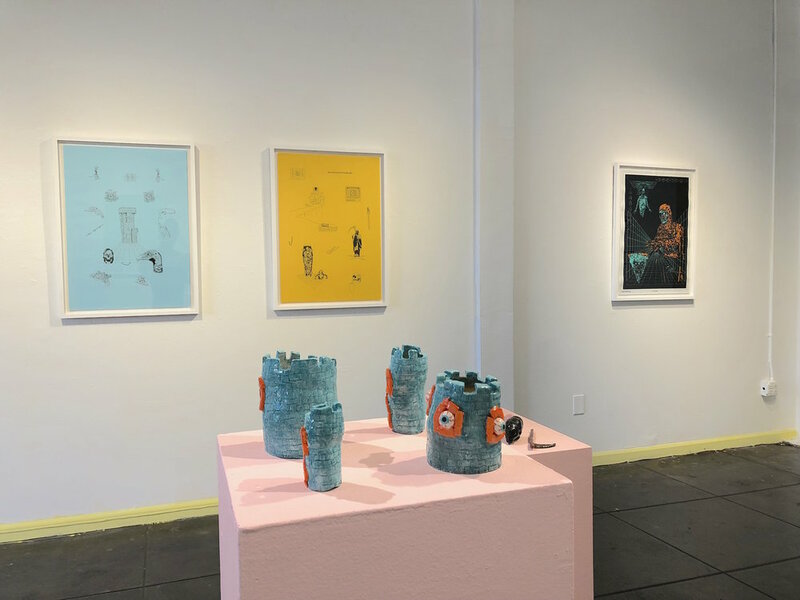 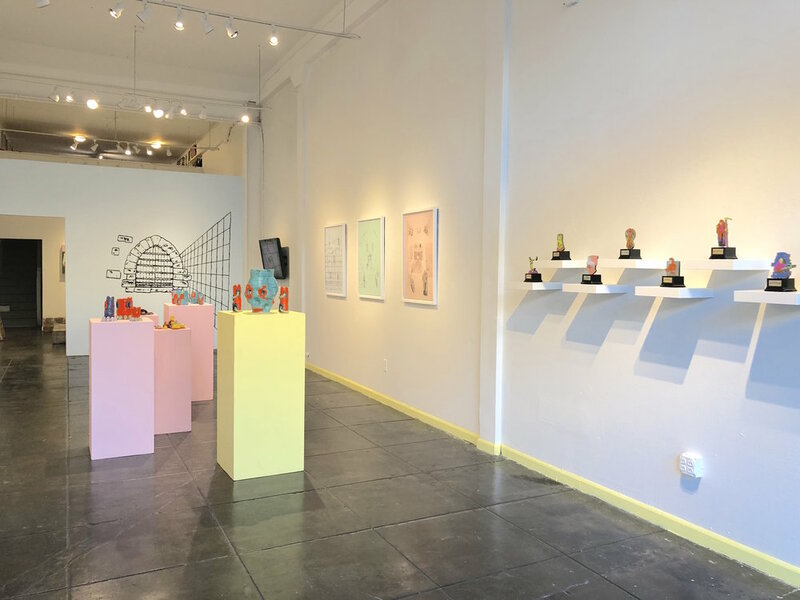 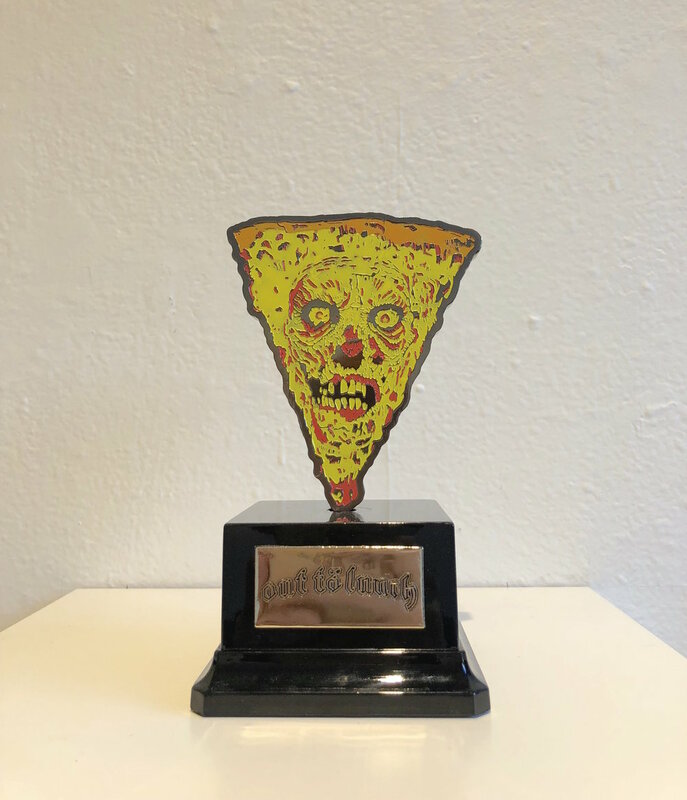 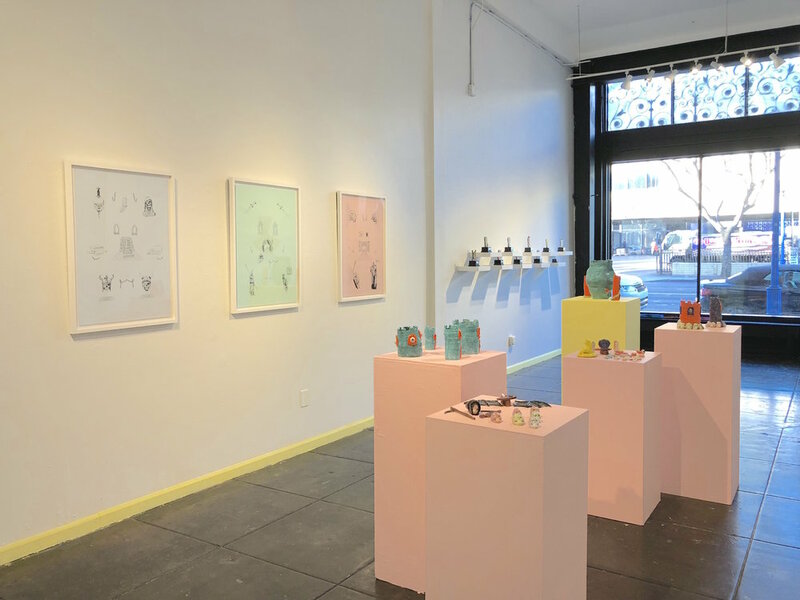 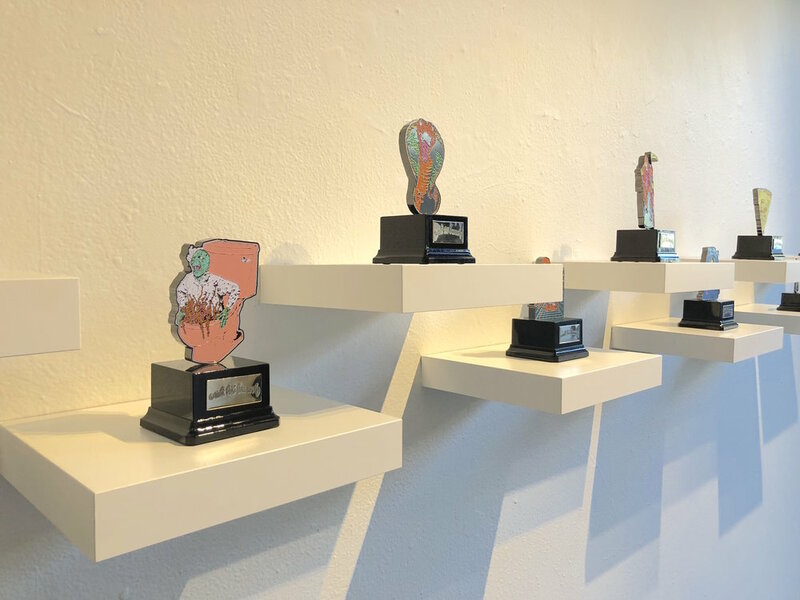 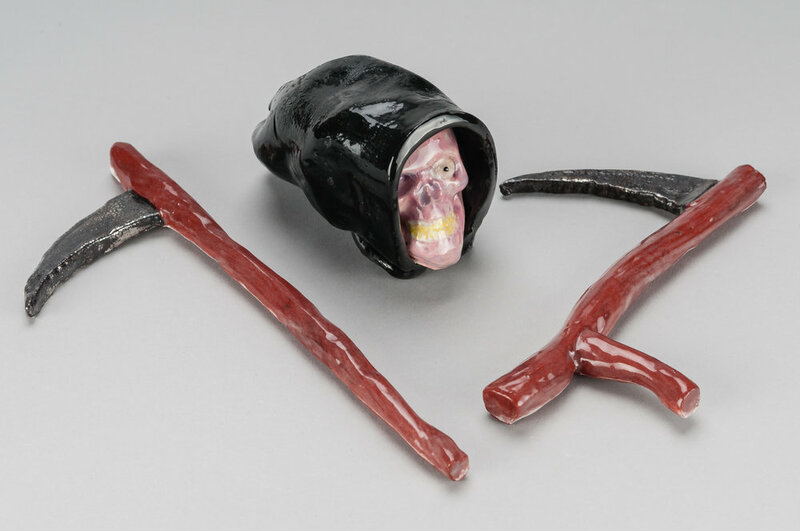 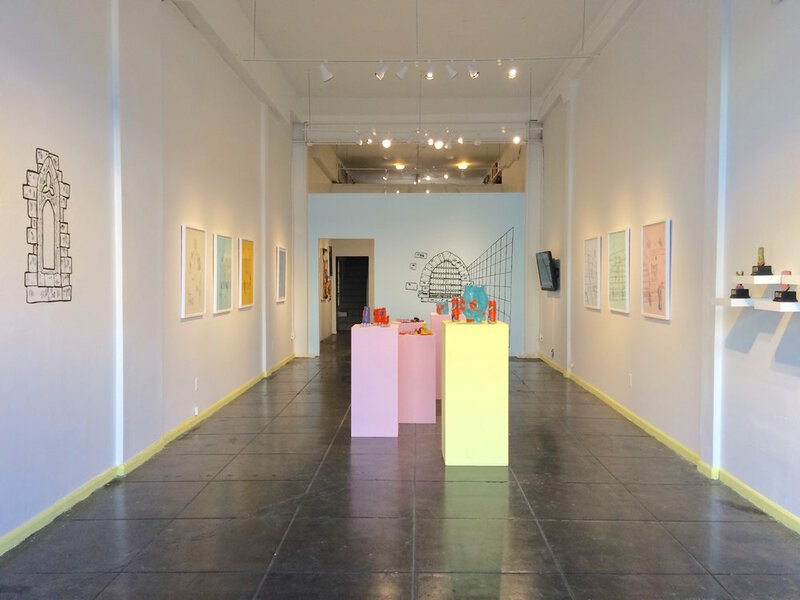 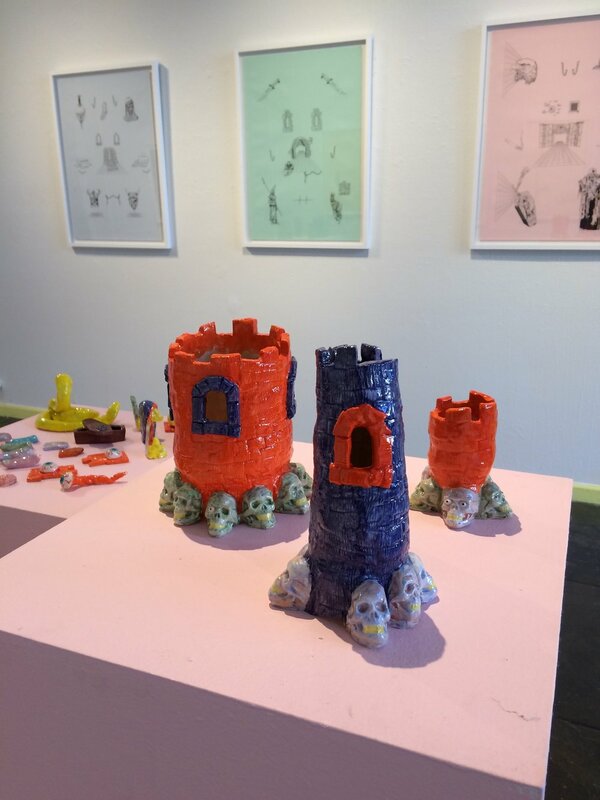 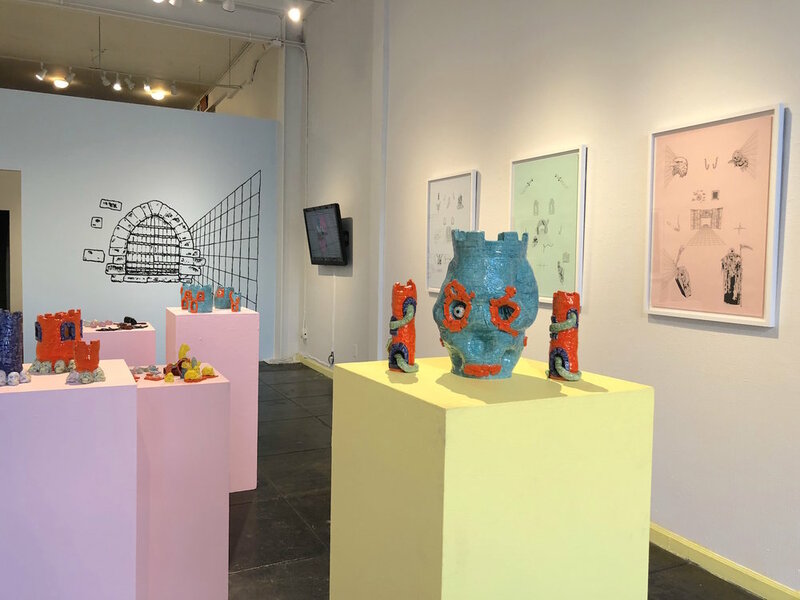 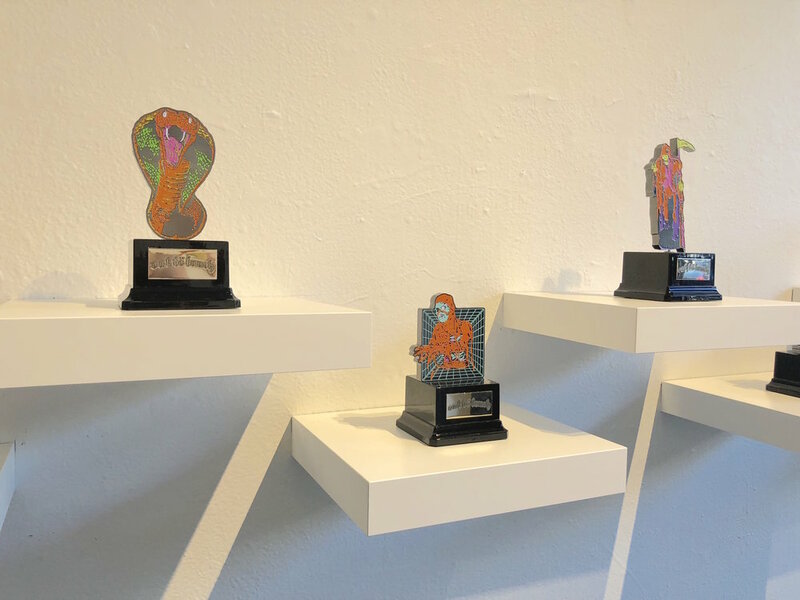 Trophies, flocked screen prints, nickel plate & enamel works, ceramic sculptures, ink illustrations and animations become the physical incarnations of the work in an ode to the objects one might decorate their teenage bedroom or denim jacket. 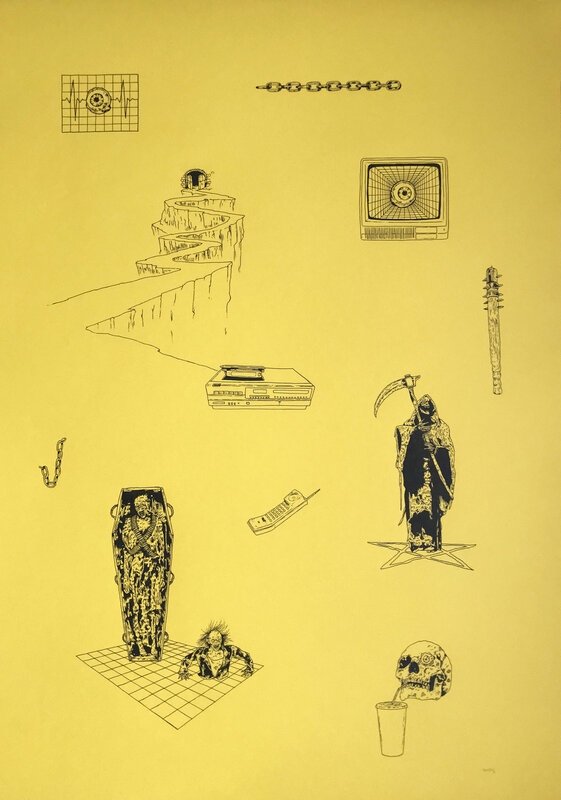 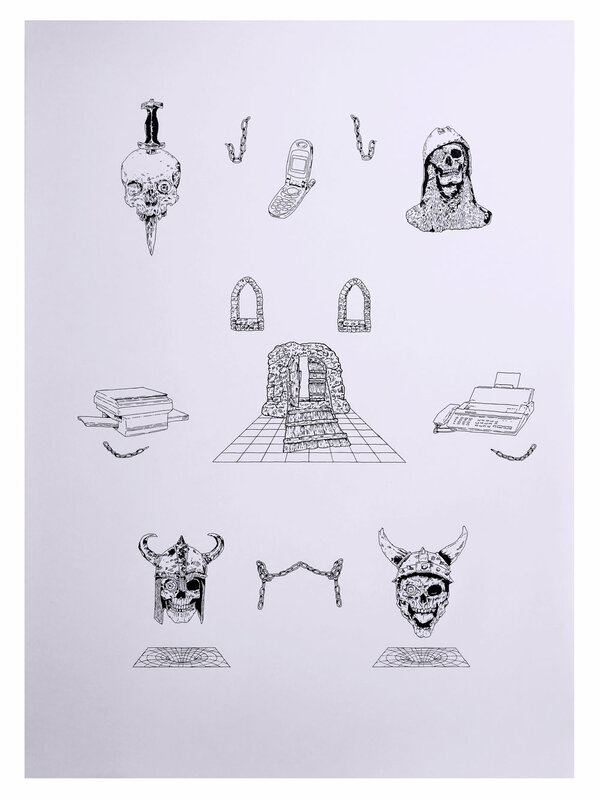 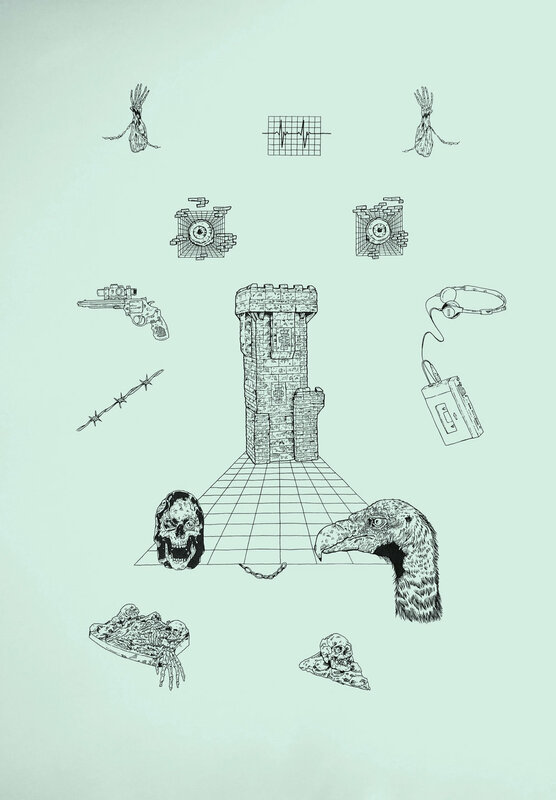 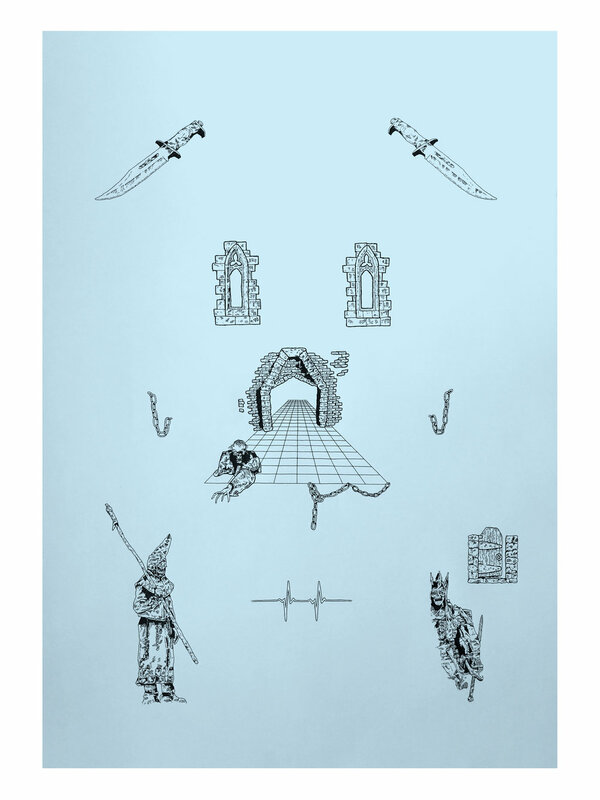 Castles, knights, eyeballs, skulls, cell phones, Xerox copiers, reapers, space voids and pizza, face off in French’s illustrated universe resulting in a body of work demonstrating his unique understanding of the illustrated form.